The leaves are changing colors, the moon replaces the sun earlier in the evening, and the college football regular season is winding down. The time for change is here. And for the third year in our annual series, Nuclear Winter has arrived. As in previous editions, the goal here is to have some fun while illustrating how quickly and the coaching carousel could spin in the most entertaining way possible — while staying tethered to the realm of plausibility. *First disclaimer: This is for entertainment purposes only. *Second disclaimer: This is for entertainment purposes only. *Third and final disclaimer: This is for entertainment purposes only. And with that said, let’s begin. Much like at Nebraska, Arkansas power brokers have decided their head coach cannot return and the AD who hired him has lost their trust to pick the replacement. Jeff Long is out as AD. Will that be the only similarity the Hogs and Huskers have this winter? Nebraska drops its final game of the regular season, ending the Huskers’ 9-year bowl streak and closing the year with five home losses — an unthinkable fate at a school that once went 14 seasons dropping three home games. Bill Moos makes plans to visit Orlando after the AAC championship. Arkansas closes the year with losses to LSU, Mississippi State and Missouri — the last two at home — and Bret Bielema is out before Black Friday is over. Texas Tech falls to Texas, dropping the Red Raiders to 5-7 on the season. Sensing the writing on the wall, Kliff Kingsbury takes the postgame podium in Austin to make an impassioned plea for one more season at his alma mater. With his duties as the College Football Playoff selection committee chairman top of mind, Kirby Hocutt kicks the can down the road as much as possible. A loss to USC the week prior was frustrating but understandable, but falling to Cal and its first-year head coach at home was too much for the Bruins to bear. (Get it?) Josh Rosen declares for the NFL Draft, and UCLA declares itself free of Jim Mora. After infuriating his fans for not moving on Butch Jones earlier, John Currie announces shortly after Tennessee’s season-ending win over Vanderbilt plans to make a change at head coach. Kansas is blown out by Oklahoma State, falling for the 11th time this season and the 26th time in 27 Big 12 games during his tenure, David Beaty says the program just hasn’t progressed the way it should under his watch and resigns. A year ago, LSU AD Joe Alleva was the loneliest man in the world as his coaching search played out in real time as his team whipped Texas A&M on the field on Thanksgiving night. This year offers no such drama, as the Tigers beat the Aggies for the sixth consecutive year and Kevin Sumlin is let go shortly thereafter. With both his and Mississippi State’s regular season over, Scott Stricklin is free to confirm that he will interview Dan Mullen for the Gators’ vacancy. The Cougars close with a loss to Hawaii, ending the year at an unthinkable 3-10 and third-to-last nationally in scoring. Changes must be made, and Kalani Sitake is out in Provo. FirstDown PlayBook: The premier digital football playbook reference tool, offering professionally drawn plays and coaching points 3x a week, every week. In 2018, FirstDown PlayBook hands the chalk back to you, and allows you to edit the 32,000+ football plays and save them in your customized playbook. Auburn’s hopes of crashing the SEC and CFP races ended with a thud in a 34-10 loss to Georgia two weeks ago, and a third straight non-competitive Iron Bowl loss shows just how far Auburn is from Alabama. With longtime AD Jay Jacobs on his way out, a power vaccum forms with two warring sides as Gus Malzahn’s future hangs in the balance. Additionally, the following Group of Five schools announce changes: Bowling Green, Charlotte, East Carolina, Kent State, Louisiana-Lafayette, Miami (Ohio), New Mexico, Rice, South Alabama. Considering the state of the program and the ongoing NCAA investigation, Ole Miss needs to be patient with its new head coach, and they need a head coach that can be patient with the program. That means someone young. That means Neal Brown, who racked up two 10-win seasons at Troy before his 38th birthday. Coaching hires are about timing. And in a Texas A&M program that has spent half a billion dollars to build up a stadium that hasn’t seen a win over an SEC West opponent in two years, Jimmy Sexton has the right timing. Jimbo Fisher pulls the ripcord out of Tallahassee and signs a 6-year, $60 million contract with Texas A&M. Willie Fritz has won at the junior college level, in Division II, in FCS and at the Group of 5 level. This Pittsburg State graduate completes his climb up the college football ladder by leaving Tulane to accept the Kansas job. Dino Babers took the Syracuse job on the reasoning that, despite Syracuse’s New York winters, it’s always sunny inside the Carrier Dome. After Bruins AD Dan Guerrero that it’s always sunny in Westwood — period — Babers joins him in Los Angeles. and Central Florida beats Memphis for the American championship, and Scott Frost fields offers from Nebraska, Tennessee and Florida. The emissaries from each school have something unique to offer him. One (Tennessee) offers riches. Another (Nebraska) offers glory. And the third (Florida) offers the clearest path to power, because power in college football is built upon proximity to top prospects. Humbled by the attention, Frost hunkers down in a secret room atop the tallest tower of Cinderella’s Castle and weighs his options. After overseeing a successful Selection Sunday — Georgia, Oklahoma, Clemson and Washington make the field — Kirby Hocutt pulls the plug on the Kliff Kingsbury era and, with that, the Air Raid offense in Lubbock. Changes are coming. Blown away by a return to college football in which he led a 1-11 Fresno State team to the Mountain West title game, Oregon State pulls Jeff Tedford back into the Pac-12. Miami and Les Miles are deep into negotiations. As the two sides break for dinner, Les mutters something under his breath to the effect of, “Can’t believe Mark Richt is going to be my offensive coordinator.” Negotiations break down. Gary Andersen left Wisconsin and Oregon State as an unhappy coach. He returns to the last place he was happy, taking over for his former assistant in Matt Wells. After McNeese bows out in the first round of the FCS playoffs, Louisiana-Lafayette drives a few miles west down Interstate 10 to pull Lance Guidry out of Lake Charles. The Owls’ win total fell steadily over the past four seasons, from eight to one, and so did their pass efficiency ranking, starting at No. 21 in 2014 and plummeting to No. 123 in ’17. Believing that fixing the latter will take care of the former, Rice hires TCU offensive coordinator and quarterback whisperer Sonny Cumbie away from TCU. The Auburn Civil War continues, with outgoing AD Jay Jacobs leading one side that wants Gus Malzahn to stay. The other side wants Malzahn out, and doesn’t think Jacobs should get a say in the future of the program. After days of wild reports where it seems Malzahn is hours away from being pushed out, eventually it’s announced Malzahn will coach the Tigers in the Outback Bowl against Michigan State, and a decision will be made after that. The Scott Frost Sweepstakes is boiling to a head, with the final result sure to cause ripples across the market — and so will the unexpected opening at Florida State. Realizing the situation he inherited is worse than he thought, Baylor AD Mack Rhoades skips out of town to replace Jeff Long as Arkansas’s AD. Houston Nutt lets it be known he’d be willing to come back to Fayetteville. Rhoades lets it be known that’s not happening. 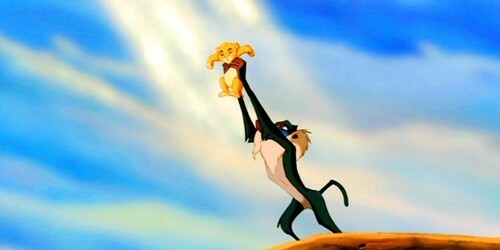 After spending nearly a full week in sleepless meditation, Scott Frost, wearing a beard and bloodshot eyes, emerges from Cinderella’s Castle and lifts his newborn son aloft a la Rafiki in The Lion King. Baby Frost is wearing a Florida onesie. Scott Frost is a Gator. Nebraska boosters make a run at Iowa State’s Matt Campbell, but none of them want to pony up to pay his near $10 million buyout and Warren Buffett doesn’t return their calls. New AD Bill Moos uses the opportunity to make his first power move by repeating what he did at Washington State. But instead of hiring an eccentric, ornery coach who makes his living through the air, Moos draws a link to Nebraska’s past and hires Running Game Mike Leach — Georgia Tech’s Paul Johnson. BYU has seen the cost of missing on Ken Niumatalolo the first time. They don’t miss again. The Cougars put together an offer Niumataololo can’t refuse. With Tennessee preoccupied in the Scott Frost Sweepstakes, Rhoades happily plunks down the way-too-light buyout to pull Mike Norvell out of Memphis. With Kirby Smart at Georgia, Scott Frost now at Florida and Nick Saban not going anywhere, John Currie realizes Tennessee has to be different. Mike Leach is different. He does his entire introductory press conference completely in character as Davy Crockett. Georgia Southern struggled with the process in hiring Tyson Summers. They get it right this time, hiring Army offensive coordinator Brent Davis. Recognizing they have one of the top coaching talents in the country right there on staff, Washington State promotes defensive coordinator Alex Grinch to head coach. Florida State spends a few days tending to its wounded pride, then realizes the kick to the gut Jimbo Fisher gave them in leaving for College Station was actually a gift. The program had gone stale and needed some juice to reinvigorate a talented roster. Emboldened by a buyout that’s pennies on the dollar, Florida State brings Willie Taggart back home to the Sunshine State. Fresno State replaces Jeff Tedford by hiring Oregon co-offensive coordinator and California native Marcus Arroyo. Pleased with the direction the program was headed, Syracuse replaces Dino Babers by promoting defensive coordinator Brian Ward to head coach. Kent State replaces Paul Haynes by hiring a Youngstown State head coach… but not that Youngstown State head coach. Iowa State defensive coordinator Jon Heacock, who won 60 games as the Penguins head coach from 2001-09 and coordinated defenses at Kent State previously, returns to campus as head coach. A dejected Les Miles returns home to Louisiana — and finds Tulane AD Troy Dannen waiting for him. Miles needs a job, and Dannen has a stadium to fill. When Dannen presents an Angry Wave hat to Miles, the deal is sealed. Kansas State beats Kentucky in the Liberty Bowl, and afterward Bill Snyder decides to no longer delay the inevitable. He’s retiring, effective immediately, and he’d like Sean Snyder to replace him. The fork in the road AD Gene Taylor was hired to navigate has arrived. Charlotte hires Elon head coach Curt Cignetti, fresh off a CAA championship in his first season on the job. With his 80th birthday approaching, Phil Knight makes it clear to Oregon officials: He wants a national championship before he kicks the bucket, and he believes Chip Kelly is the only man who can make that happen. Bored without a team to coach and motivated by a phone that’s not ringing with NFL offers, Kelly accepts. Mike Houston does not defend his FCS national championship at James Madison, falling to Sam Houston State in a semifinal upset. He does, however, land the Bowling Green job. AD Danny White is urged by Scott Frost and many in the athletics department to promote offensive coordinator Troy Walters but he just… can’t… resist… the shiny toy dangling in front of him. Lane Kiffin leaves Florida Atlantic to take the UCF job. Try as he might to keep the drama happening around the athletics department from seeping into the locker room, Gus Malzahn can’t keep his players proverbial eyes on the ball. Auburn completely flubs its Outback Bowl performance, a 45-14 loss to Michigan State that spurs school president Dr. Steven Leath, who already purged basketball coach Bruce Pearl and is in the process of saying goodbye to AD Jay Jacobs, to completely purge the upper level of the athletics department. A short search leads Auburn back to a familiar setting: Arkansas State head coach Blake Anderson lands the job. Navy has been bracing for Ken Niumatololo’s departure for years, and his natural replacement is already on staff in offensive coordinator Ivin Jasper. Dejected from missing out on the Arkansas job, Houston Nutt lets it be known he’d be willing to coach Memphis. Memphis AD Tom Bowen lets him know that won’t happen. After leading Jacksonville State to the FCS national championship, John Grass decides he’s done everything he can at that level and accepts Troy’s offer. East Carolina AD Jeff Compher realizes he needs to give his program an identity, and decides to replicate one of the most successful blueprints ever in the Mid-Atlantic region: Beamer Ball. Georgia special teams coordinator Shane Beamer heads to Greenville to form Beamer Ball 2.0. South Alabama planned for weeks to hire Grass, but his late spurn to the Trojans forces USA to move on to Plan B: former West Alabama and West Georgia head coach Will Hall. Stunned he’s still on the market, Georgia Tech AD Todd Stansbury hires Penn State offensive coordinator Joe Moorhead to modernize the Ramblin’ Wreck’s offense. New Mexico jettisoned Bob Davie last month, but it doesn’t want to stop running the football. Arizona co-offensive coordinator Calvin Magee takes the New Mexico job. K.C. Keeler takes Sam Houston State on a surprise run to the FCS national championship game, then accepts what may be his final chance to move to the FBS level at UTEP. Dejected from missing out on the Arkansas and Memphis jobs, Houston Nutt lets it be known he’d be willing to coach at Arkansas State. Arkansas State lets it be known that won’t happen. With Mike Norvell off to Arkansas, the Tigers grab themselves another Tiger. Clemson co-offensive coordinator Tony Elliott becomes the second Dabo Swinney assistant to grab an AAC head coaching job. Kirby Hocutt knows that when you fire the head coach that played quarterback for Mike Leach, you’ve gone pretty much as far as you can go with the Air Raid offense. So Hocutt, a former All-Big 8 linebacker, stuns the college football world by hiring LSU defensive coordinator Dave Aranda as his head coach. Arkansas State hires former Arkansas State offensive coordinator, and current Maryland offensive coordinator, Walt Bell. Kiffin’s quick renovation of the Florida Atlantic program has given the Owls options. And plenty of good names are willing to battle it out for the K-State job. Surely these two jobs will be the end of the carousel. Right? Lane Kiffin’s departure makes Florida Atlantic AD Pat Chun feel like a gambler who hit on 16 and got 21 — it worked out, but you’d be a fool to be that risky again. This time around he hires a known South Florida product in Miami defensive coordinator Manny Diaz. Oregon defensive coordinator Jim Leavitt, Kansas State offensive coordinator Dana Dimel, North Dakota State head coach Chris Klieman and Clemson defensive coordinator Brent Venables all are asked to interview for the position. After four successful rounds of interviews Gene Taylor simply can’t choose among the four. Instead, he’ll make them compete for the position with an arm-wrestling battle royale, with the championship at the 50-yard line of Snyder Family Stadium. Leavitt eliminates Klieman in the semifinals, and Venables takes care of Dimel. Just as it appears Venables is going to pin Leavitt’s right forearm to the south side of the 50, Leavitt rips a Pepsi out of his pocket, bites off the top of the can and chugs it in one gulp. Leavitt is the Kansas State head coach. Every job is finally filled as late January turns into early February. New hires begin to fill out their staffs, and coaches hit the road to finish the last of their recruiting classes. As the Super Bowl approaches, the entire college football world settles in for an evening of stress free football.